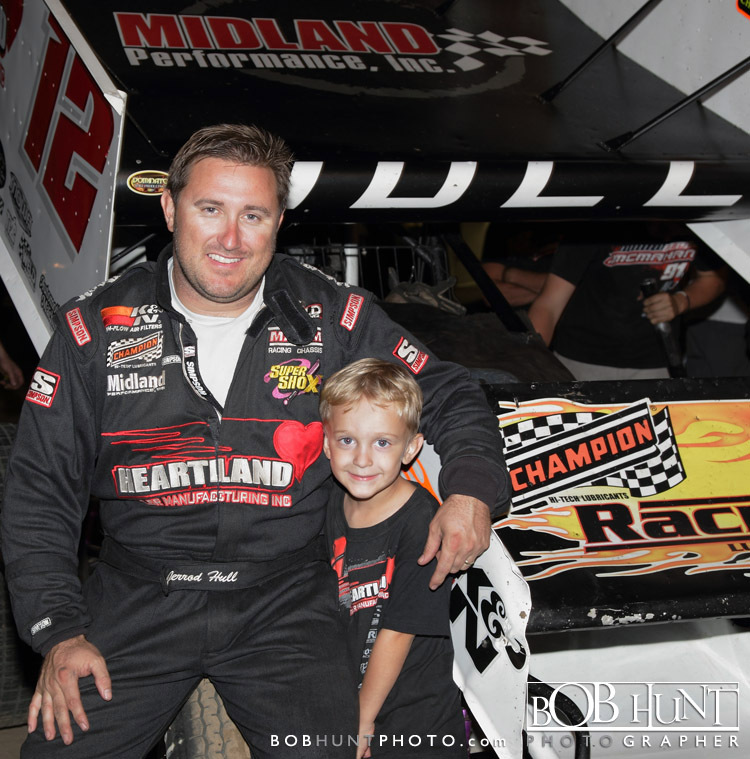 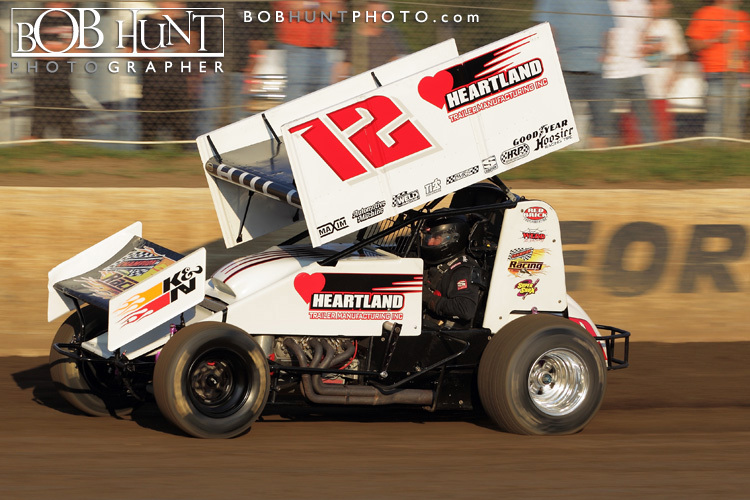 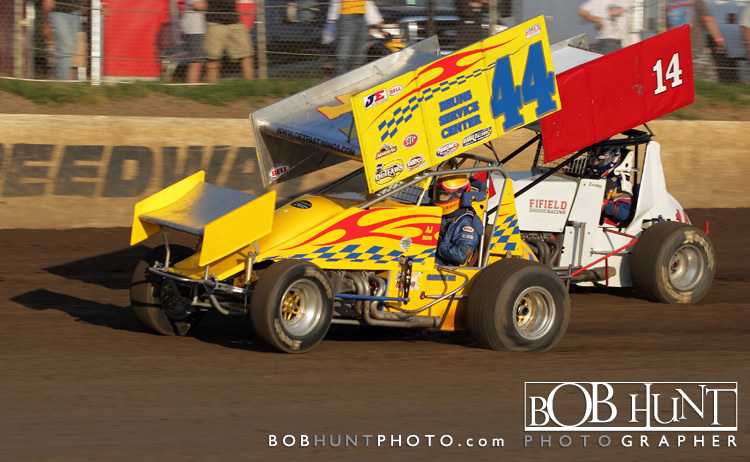 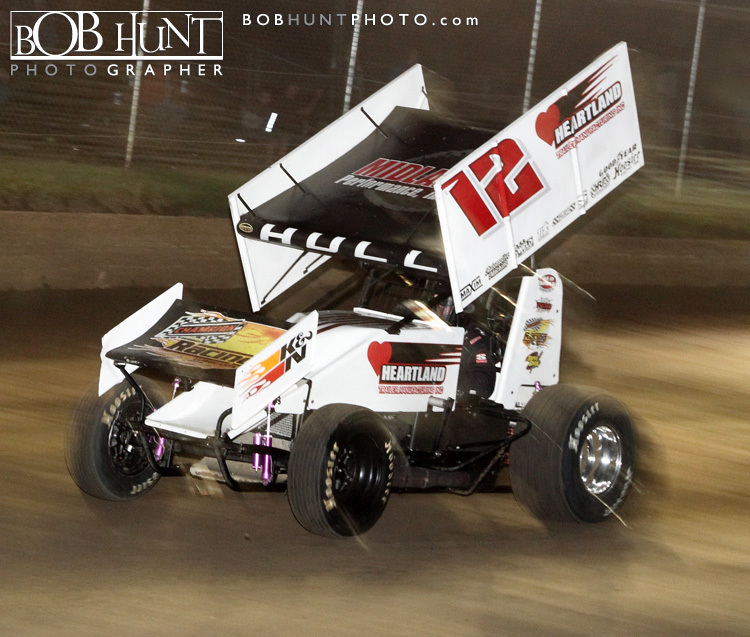 Jerrod Hull in the #12 Heartland Trailer Mfg. 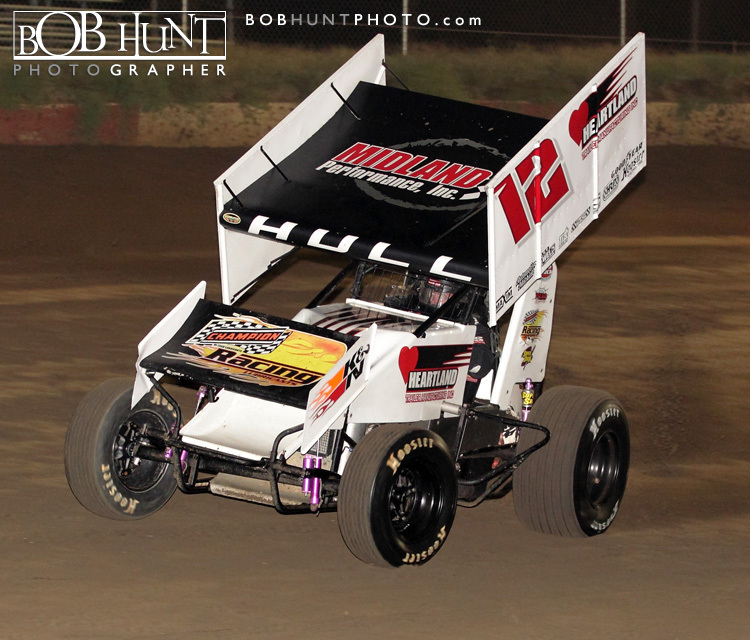 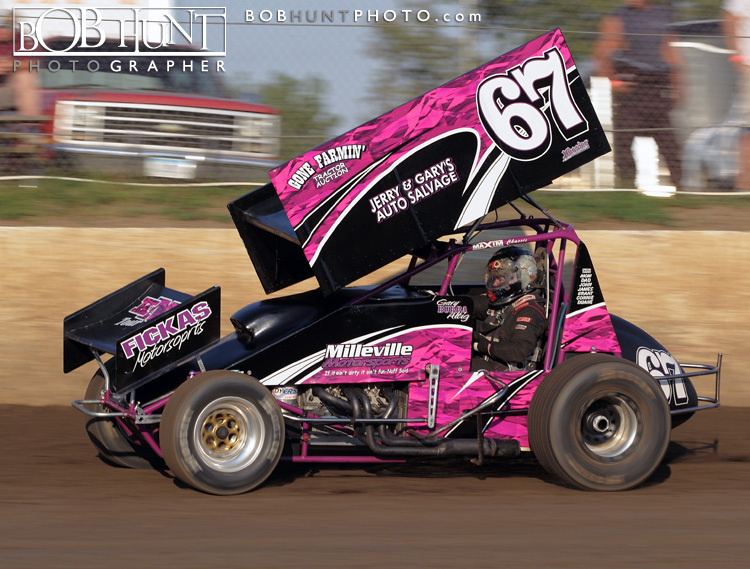 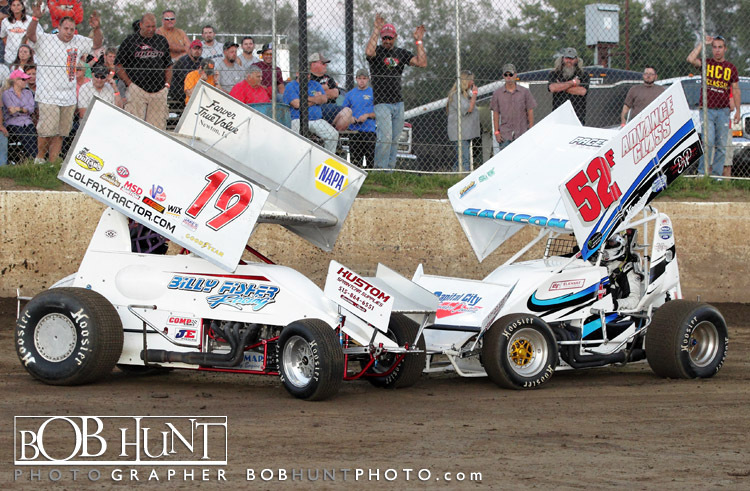 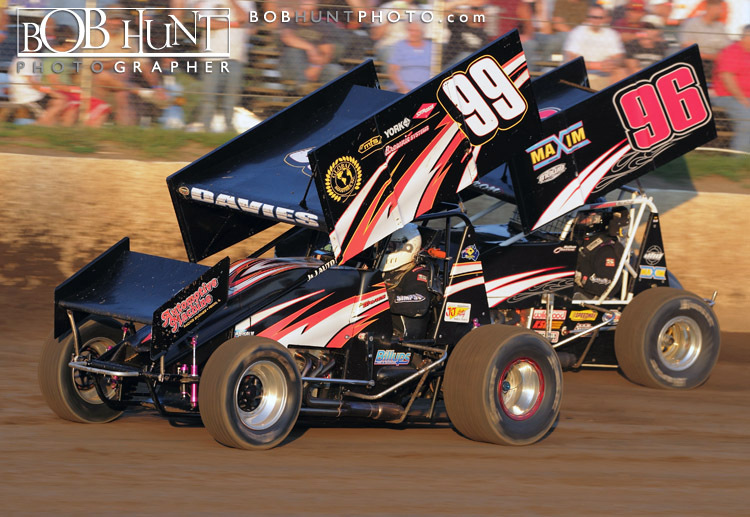 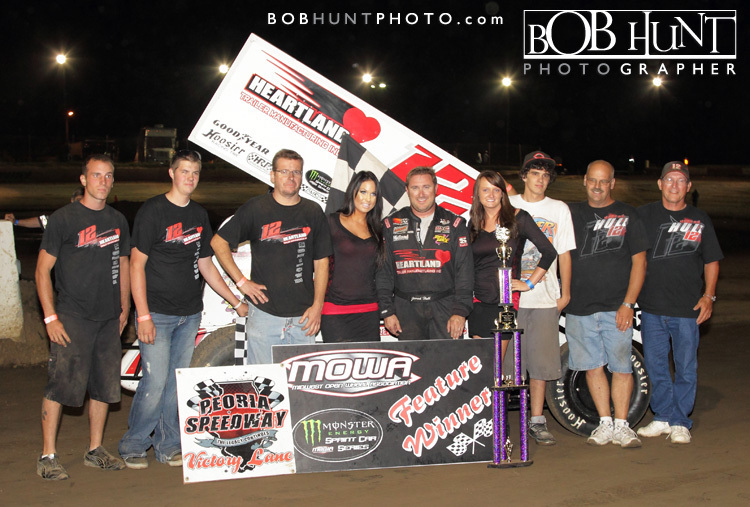 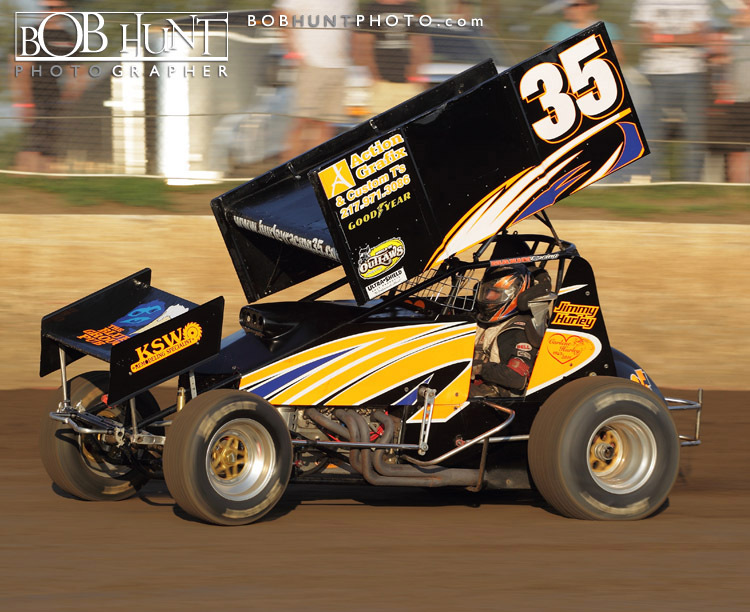 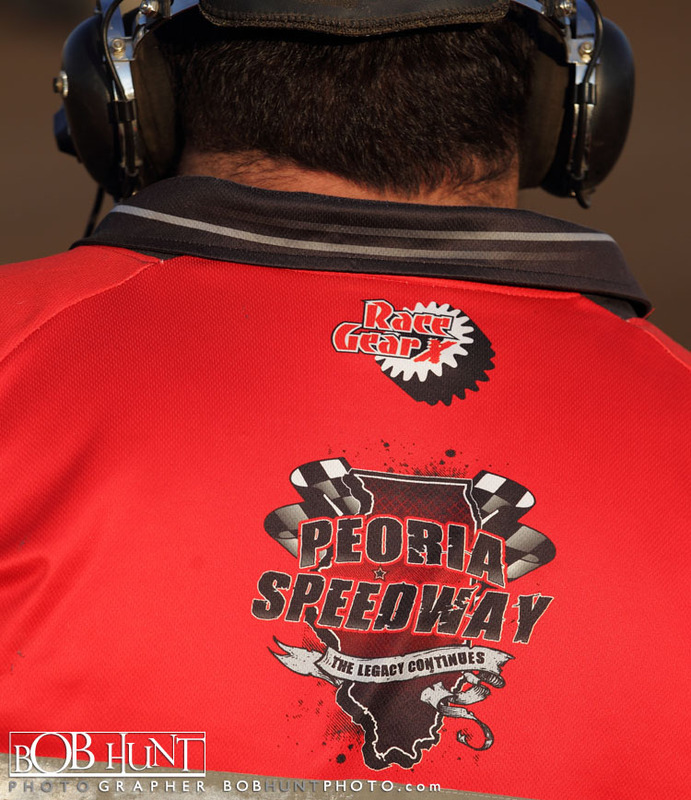 410 sprint car from Sikeston, MO rolled into Peoria Speedway and dominated the field in the Midwest Open Wheel Association (MOWA) event Sunday night. 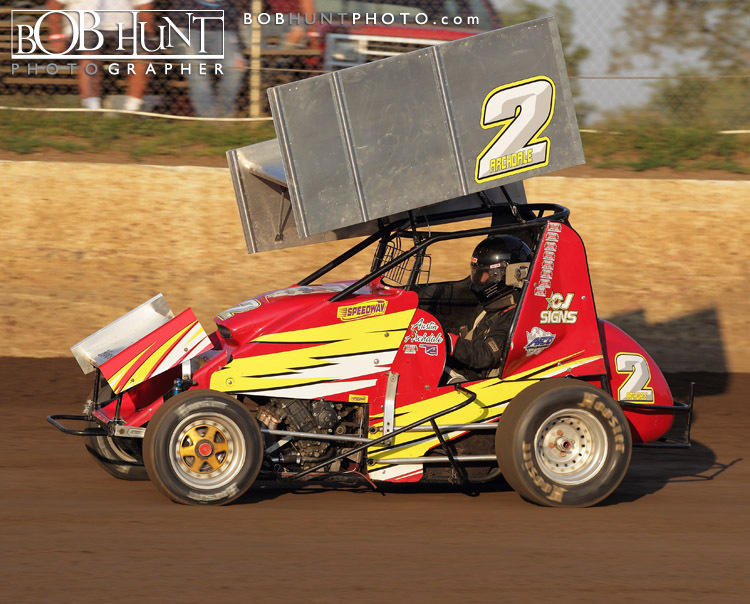 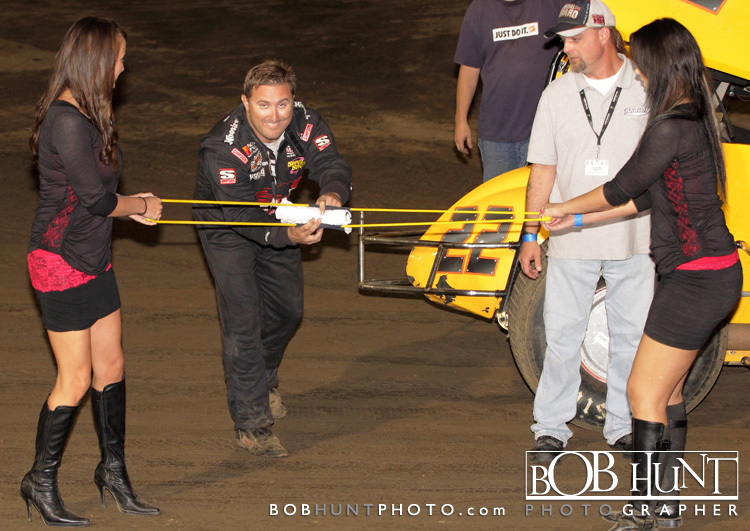 Jerrod came from last in his heat race to finish second and never trailed the rest of the evening. 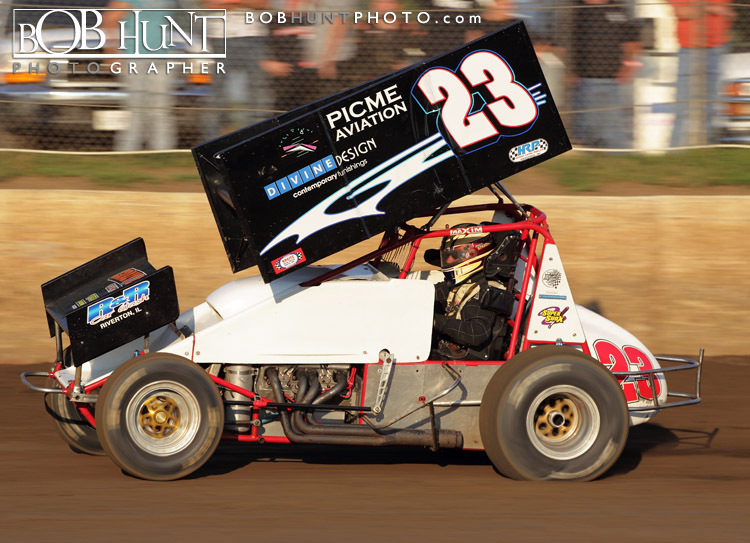 He won the six car dash for cash race beating #22B Dustin Barks, then lead wire to wire to capture the 25 lap A-Main with #23 Robbie Standridge finishing second. 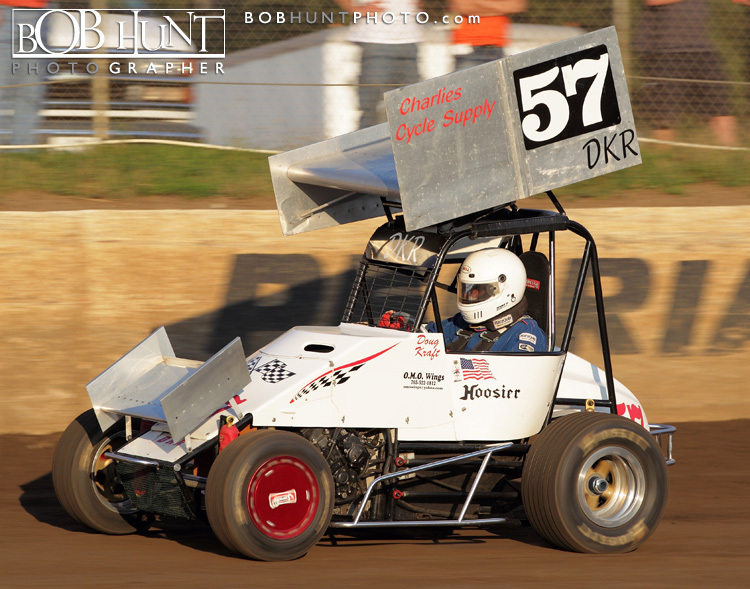 To view more of my photo’s click here.